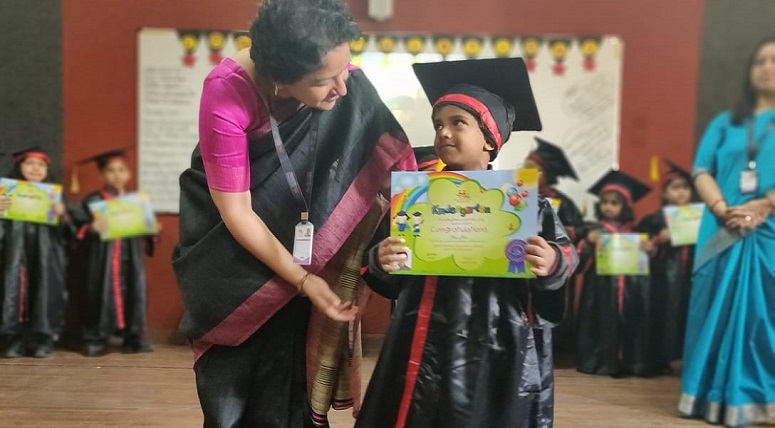 The students of Early Years took a step forward in their lives as they move to the next class. 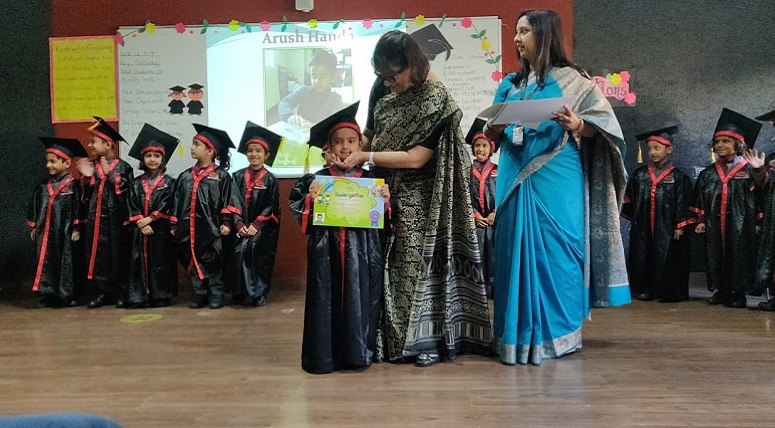 This moment was celebrated with a Final Theme Assembly, wherein the students of Toddlers and Nursery showcased their learning by performing on rhymes related to different themes and they stole the show with their confident dialogue delivery. 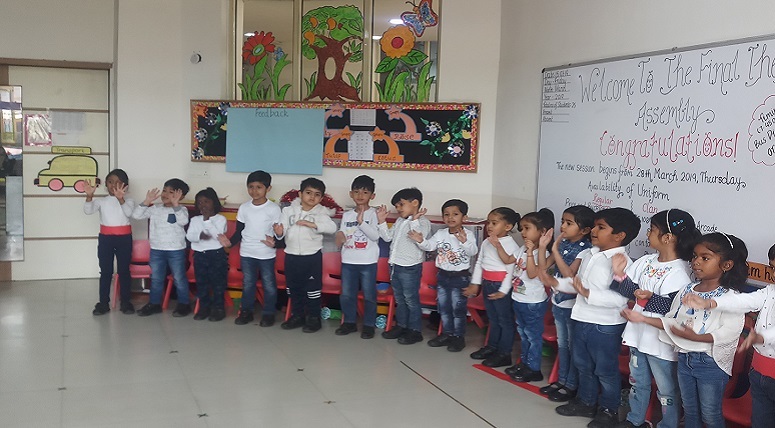 The students of Nursery also presented a ‘Nukkad Natak’, spreading the message of ‘need to save water’. 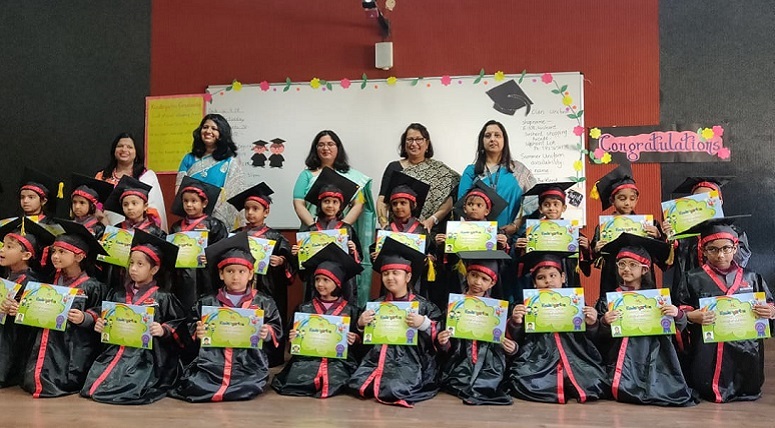 For the students of Kindergarten, this memorable day was celebrated as ‘Graduation Day.’ Our students looked graceful in their graduation gowns as they received their Graduation Certificates from respected Director Principal, Ms. Dhriti Malhotra & Vice Principal. 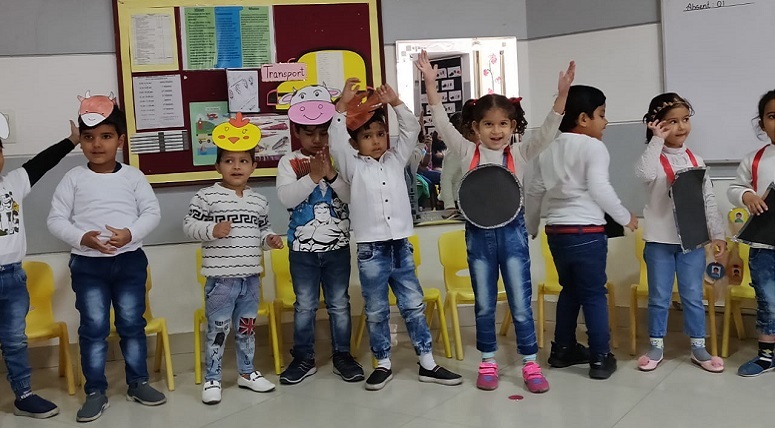 Children danced to celebrate their success and thanked their teachers and parents. The air was filled with mixed emotions of rejoice and sadness. Growing up has just begun – We wish them success on every little step that they will take!